Botswana is a land of contrasts, from the lush Okavango Delta to the arid Kalahari Desert, but filled throughout with some of the most spectacular un-spoilt and widespread wilderness areas on the planet. 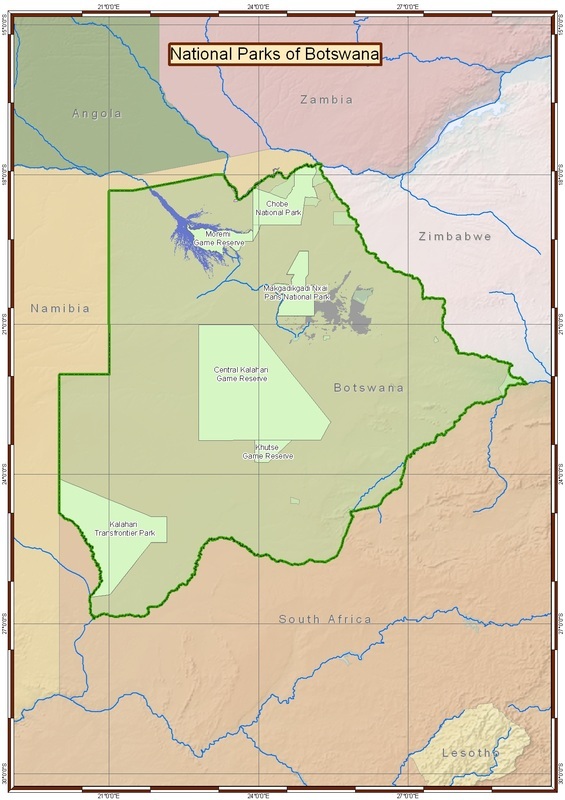 As Botswana is within the Southern Tropics, it has two main seasons: a dry season from May to October and a wet season from November to April. Although as with the climate in any part of the world, nothing is fixed and the starts and ends of these seasons can easily vary! January and February are the wettest with frequent torrential rain in the afternoon. Temperatures are still high, maybe 40°C max. March, April and May are transitional, as the rains and temperature decrease. The rains are usually over by April and the temperatures have dropped to 30C max. June, July and August are the coolest months, with day temperatures around 25°C and nights dropping to 5°C, with the occasional exceptional cold snaps down to below freezing! September and October are the hottest and driest, days can around 35°C;-45°C with low humidity. November is transitional, as everyone awaits the rains, these can start at any time but it is normally yet by the end of December. There are things to see in Botswana at any time of the year, and the best time to come will be very dependent on what you wish to see. The following is therefore a broad outline of the general patterns of game behavior. From July until November when the rains come, game tends to concentrate around the remaining available water making for good sightings of plains game and predators. Lack of dense vegetation makes it easier to view and photography the wildlife, although they may not be in their best condition! November also signals the onset of the calving season for many of the plains game. Large herds of buffalo and elephant migrate towards the northern parts of the country reaching the Savuti and Chobe areas around April and May. Game densities in the permanently flooded central parts of the Delta are pretty constant throughout the year. As the dry season progresses towards October, the game densities on the edge increase as wildlife from drier areas move to this available water. It is almost impossible to sum up the complexity and sometimes unpredictable nature of game movements and weather patterns, but in one sentence: wet season best for arid areas, dry season best for river and delta. For expert advise please contact us! You can make a positive impression with the local people you meet by mastering a few simple phrases in Setswana. Although most people speak good English, a simple greeting in Setswana is guaranteed to receive a warm (and sometimes amazed) response. How are you? - - Le kae? How do you get to...? - - Ke kopa tsela...? What is your name? - -Ke wena mang? What is your name? - - O mang? There is a lion in my tent! - - Gona le tau mo tante yame! The Currency of Botswana reflects the dependency of the Country on the Annual Rains, "PULA" is the Setswana word for "RAIN" and "THEBE" is the Setswana word for "A DROP OF RAIN"